It's different than a pill because you put the liquid under your tongue for fast action. 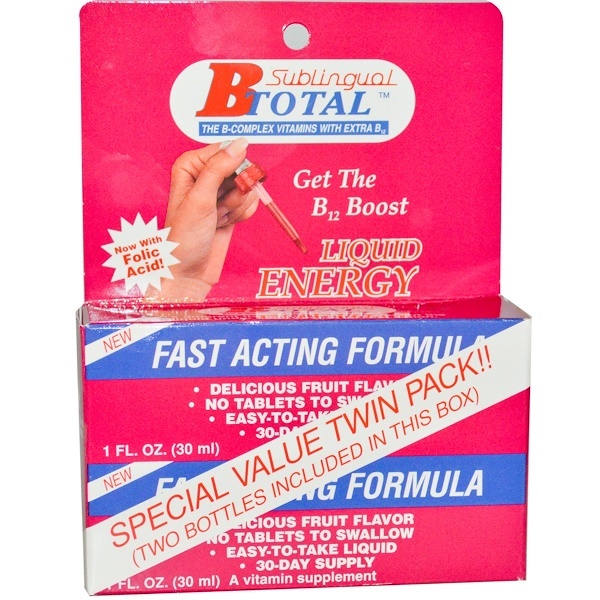 B-Complex Vitamins are factors in providing energy by converting carbohydrates to glucose. The B-Complex vitamins are water-soluble and used by the body daily but not stored. For adults and children ages 12 and above. Shake well before use. As a vitamin supplement, in the morning, take one full dropper (1.0 cc). In addition, use under periods of stress or prior to physical activity, if needed. In a base of the following for which no additional claims are made: Distilled water, glycerine, sorbitol, sodium bicarbonate, citric acid, fruit flavors, sodium benzoate. 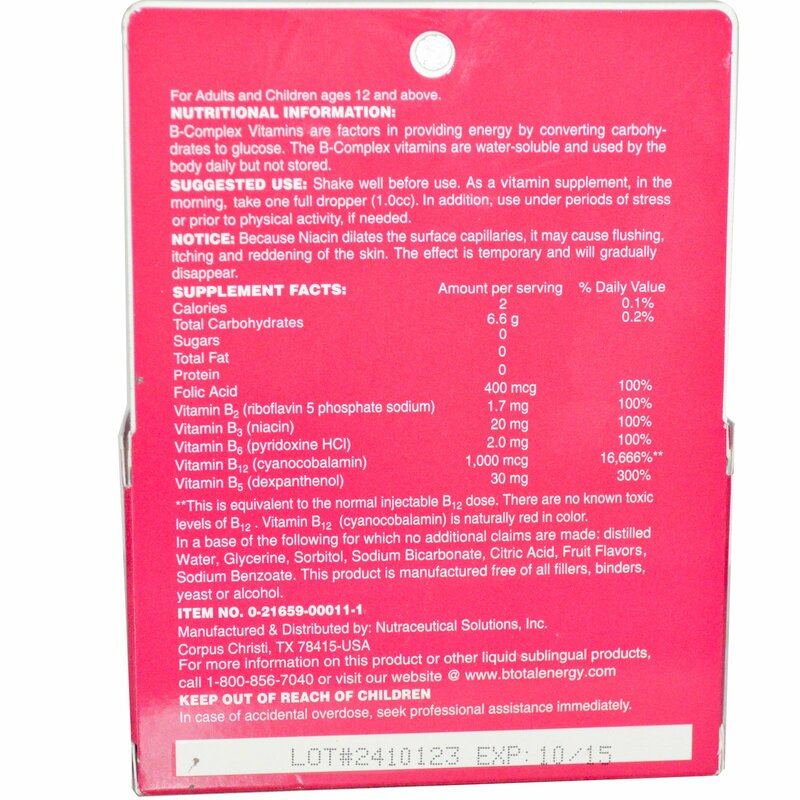 This product is manufactured free of all fillers, binders, yeast or alcohol. Notice: Because Niacin dilates the surface capillaries, it may cause flushing, itching and reddening of the skin. The effect is temporary and will gradually disappear. In case of accidental overdose, seek professional assistance immediately. **This is equivalent to the normal injectable B12 dose. There are no known toxic levels of B12. Vitamin B12 (cyanocobalamin) is naturally red in color.